The Museum of the Caves of Sacromonte showcases the unique history, culture, and customs of the past cave dwellers. Exhibits showcase typical cave homes recreated with original objects and furniture, as well as caves utilized for traditional work in basketweaving, workshop, weaving, and ceramics. The museum also host cultural events pertaining to the environment, flamenco, music, and the way of life in Granada. Using modern technology, the Memorial of Andalucia provides information on the landscape, history and culture of Andalusia through interactive, educational exhibits. The museum provides a better understanding of a rich and diverse Andalusian identity in its exhibits on the environment and natural resources, Andalusian communities, modes of life, and the arts. The Cultural Center of CajaGranada contains various temporary exhibitions with works of art and cultural artifacts. Current exhibitions include “La Habana,” a series of paintings by Jesús Conde, and a historical overview of Spanish toys. The Museum of Fine Arts, located next to the Alhambra, contains a large permanent collection of religiously-themed paintings from the 16th-18thcenturies, as well as other works from the 19th and 20th centuries that are important to Spanish cultural identity. The Centro José Guerrero is dedicated to celebrating the innovative and experimental contemporary art of the 20th century. The permanent collection includes paintings by American artist Jose Guerrero, whose abstract expressionist paintings have greatly influenced Spanish contemporary art. Current exhibition from 3 Feb to 3 April showcases the work of American photographer John Gutmann. The Andalucia public library is dedicated to the access, conservation, and protection of materials of interest for Andalucia. The Archaeological Museum contains various findings from objects of late Roman tombs to the artifacts of the rich Hispano-Muslim period of the 10th-15th centuries. Collections also include a large number of pieces from throughout human history to provide a better understanding of human evolution and society development. Jose Maria Rodriguez-Acosta established the foundation to maintain awareness of art and culture in Granada through programming and offering funding for artists. The building that houses the foundation was built by Rodriguez-Acosta as a work of art, “in a similar way to putting paint into canvas.” The house is open to visitors by appointment. Hours: Must book at least two days in advance, Mon – Fri 10:00 – 14:00. Saturday, Sunday and Festivals closed. 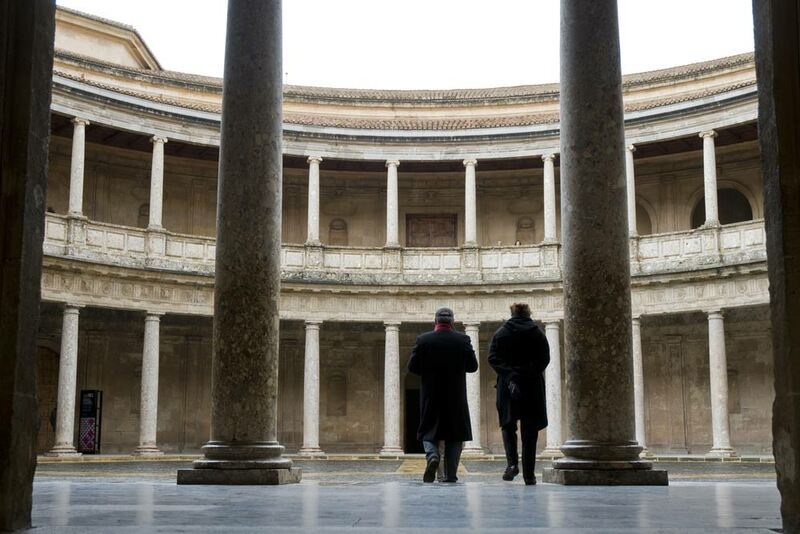 The archive-library, originally created as a center for scholars and researchers, specializes in art history (particularly in Granada), archaeology, fine arts, travel, and the history of Granada. It holds over 4,000 items, including over 250 pre-18th century books and manuscripts. The Parque de las Ciencias is an interactive museum full of activities and demonstrations for learning about scientific principles. Installations such as “Journey through the Human Body” and “Sala Percepción” provide opportunities to experience biology first-hand and play with light and sound. The museum was built by the Pisa family around 1492 and now houses galleries open to the public. The galleries include paintings, engravings, gold articles, sculptures, and iconography related to Saint John of God. A tribute to famous Gypsy composer Manuel de Falla, the museum preserves the ambience of Falla’s former residence. Visitors can get an intimate perspective into the life of one of the most important Spanish composers of the 20th century. The Cathedral of Granada is one of the most important buildings of the city and holds the remains of Isabel and Fernando, the Catholic Kings. Visitors can tour the Cathedral for its impressive architecture and visit the museum, which houses religious paintings from the 15th century, tapestries, and various articles formerly belonging to the Catholic Kings. The summer home of the García Lorca family, the house has now been converted into a museum to commemorate García Lorca’s life and the place where he wrote some of his best works. The house incorporates furnishings, paintings, and belongings in the house when purchased by the city, as well as other objects that belonged to the Lorca family. The furnishings of the house recreate the ambience of Lorca’s home in the early 20th century, and seeks connections between the landscape of Granada and the poet’s work.